when it comes down to buying gifts for husband, it is really easy for me. in true manly form, he is not a fan of Valentine's Day so i like to get him things that are practical and fun and not too saturated in hearts. 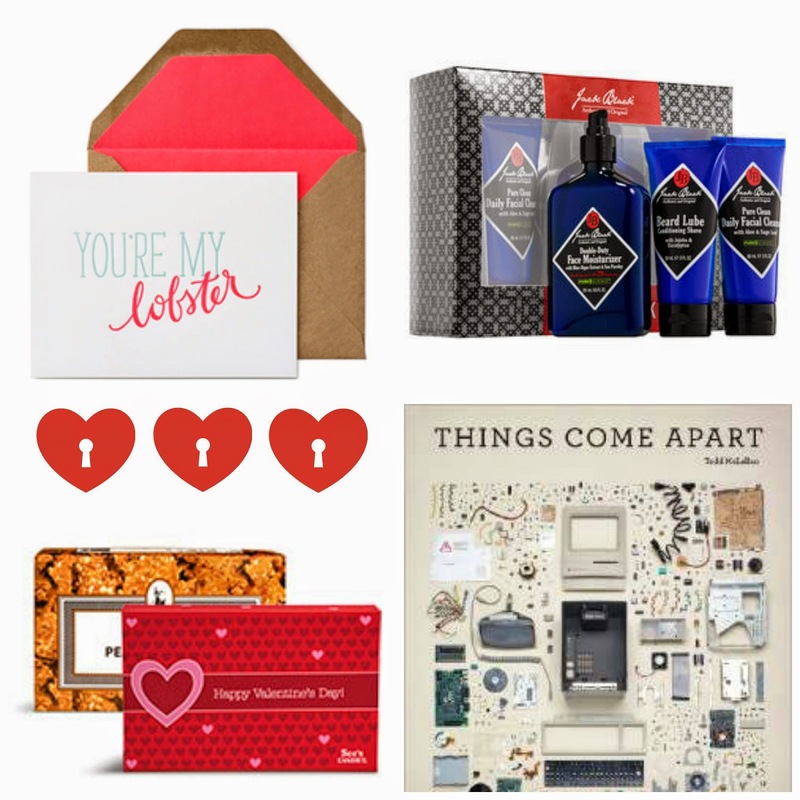 here are some suggestions for the man in your life that can go along these lines. let's start with the card. i picked this fun one from Sugar Paper. it states love but without actually saying it. next get him some face products. this Jack Black The Power Pack comes with a face wash, a moisturizer, and a beard lube to tame those whiskers. screams 'i love your face now let's take care of it!'. now present him with some sweet and salty yummies by See's Candy. this peanut brittle is a fun break away from the traditional chocolates. finally, enrich his brain with Things Come Apart. i actually got this for husband during Christmas and it was my favorite gift to give him and his to receive. trust me, you will enjoy it as well!